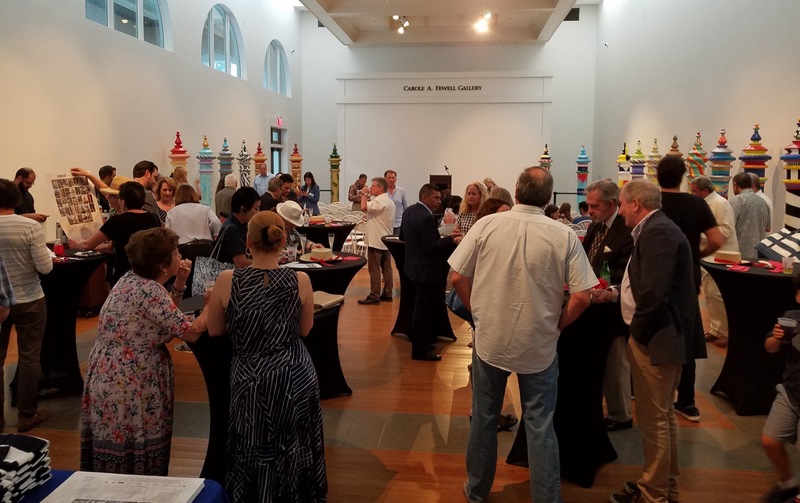 The City of Coral Gables celebrated the completion of the Downtown Miracle Mile and Giralda Streetscape Project with an exciting art project, Venice in the Gables . Eight foot tall replicas of Venetian mooring posts (paline), resembling the picturesque canal posts for the gondolas of Venice, graced the streets of downtown Coral Gables for a temporary exhibit inviting visitors and residents to interact with the new streetscape. Posts were designed and painted by local artists, supported by sponsors, and made available at the end of the exhibit for purchase at a charitable auction. This community art project was just one of the many ways we encourage the public to explore our vibrant downtown area and contribute to the economic vitality of this pedestrian-friendly oasis. Venetian mooring posts were incorporated into the early designs of the City of Coral Gables, most notably as canal markers to delineate waterfront property and as part of the Venetian Pool design. The finial (top) design of the Venetian art post is based on the same design as the entrance finial of the historic administration building once located on Coral Way and Ponce de Leon Boulevard in the 1920s. This icon of the City’s early beginnings will get a modern and fresh interpretation on top of an assortment of colorfully designed Venetian posts as they wind throughout the streets of Downtown Coral Gables, inviting visitors’ interaction and creating a positive buzz about merging history with new art. Venetian Post artist designs were sponsored by area businesses and individuals. Thank you! Thank you to all artist applicants and participating artists! Please share your creative photographs and selfies by tagging @cityofcoralgables, #veniceinthegables, #coralgablesarts. Thank you Terranova for generously providing studio space to artists during the creative process! The public call for art is now closed. If you're interested in the process, feel free to access the documents below. For further information, contact Catherine Cathers at ccathers@coralgables.com or call 305-460-5094. The Coral Gables Community Foundation is proud to serve as the philanthropic partner to the City of Coral Gables on the Venice in the Gables public art initiative. Engineering generously provided by Douglas Wood Associates. Artwork preparation generously provided by Mercedes-Benz of Coral Gables and Bill Ussery Motors Collision Center. Special thanks to Terranova Corporation for supporting our Artist pop-up studio!